Fail Safe Planning: Because Failing to Plan is Planning to Fail is now available for purchase. Get your copy here!! Success is no accident, but neither is failure. An organization without direction and a sense of identity will inevitably languish and die. 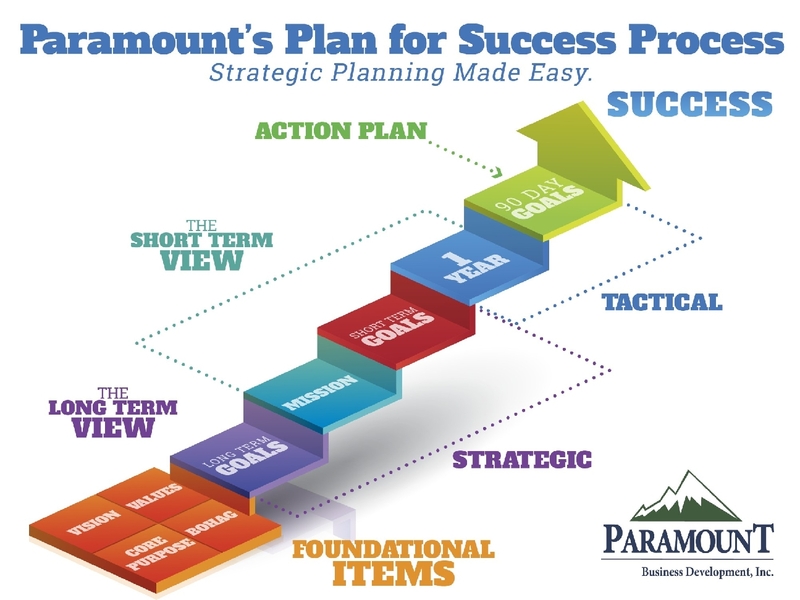 Paramount Business Development helps companies to discover their true path to success and to fine tune their business strategies into a comprehensive plan for growth and wealth creation. For over 25 years, the principles at Paramount has been coaching business men and women through a rigorous step by step process to achieve new heights in their professional and personal lives. At Paramount, the first step is identifying your direction. Direction is found by first identifying your purpose, your reason to even exist. What function does your organization serve in the community or in the world? Second, you need to express a vision of what your organization can become, how far can it grow and what can it grow into. Once the first two key pieces are in place, Paramount helps you devise a mission statement which answers three core questions: who are you, what do you do, and for whom? As challenging as the last question may seem, the next question you must ask is much more difficult. Why do you do it? The most important answer is rarely the first one that comes to mind. Once you have completed all the above, you are ready to begin the actual Strategic Business Planning Process for your organization and proceed to the second phase. A SWOT Analysis of your company is crucial to understanding your potential growth and competitiveness. Through this analysis we take a cold, hard, rational look at your company, your competitor(s) and your market(s). Threats: Pressures from outside that may prevent you from reaching your goals. Once you have a BOHAG, we help you establish your longer term goals: 3-5 years, 5-10 years, and 10-30 years. These will vary depending on the age of your company, or even your age, and must be consistent with your BOHAG. With your BOHAG and longer term goals in place you are ready to determine 3-5 annual goals that will help you build up to your long term goals. Annual goals must be in the SMART format. Good goals are motivating to your team and provide a strong sense of direction. 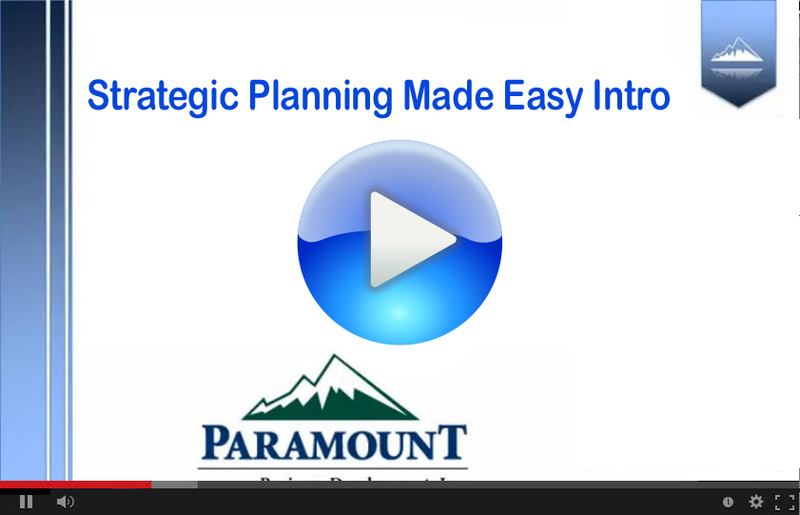 To keep that motivation strong, Paramount assists you in establishing up to fifteen 90-day (strategic) goals. From these fifteen, you select the top 3-5 goals that are most critical to your mission, and from these you choose the absolute most important 90-day goal of all. Goals must remain congruent with and build toward your annual goals. Each one must have a definite date for completion. Specificity is mandatory! The last piece of the strategic business planning puzzle is to create a detailed action (tactical) plan that will accomplish the 90-day goals in clearly defined steps. Each task must be assigned to a specific person and have a completion deadline. We show you how to create a time-based action plan that will assist you in obtaining your goals. In the fabled words of Lewis Carroll, “If you don’t know where you are going, any road will get you there.” At Paramount Business Development we make it our goal to keep your business on the right road to success and wealth creation. Call us today and take the next step towards your brighter tomorrow.